You are here: Home / Reviews / Stitch Fix February 2018 Review + Try it for FREE! 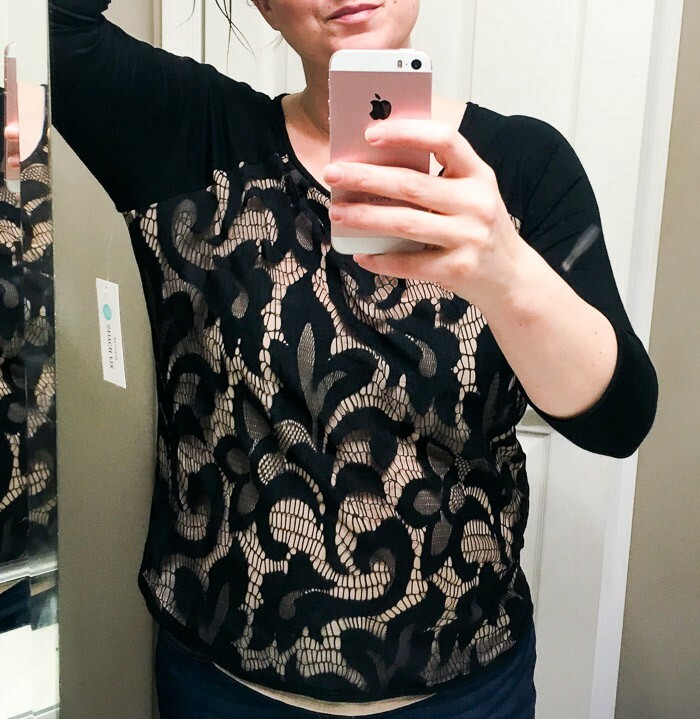 Stitch Fix February 2018 Review + Try it for FREE! 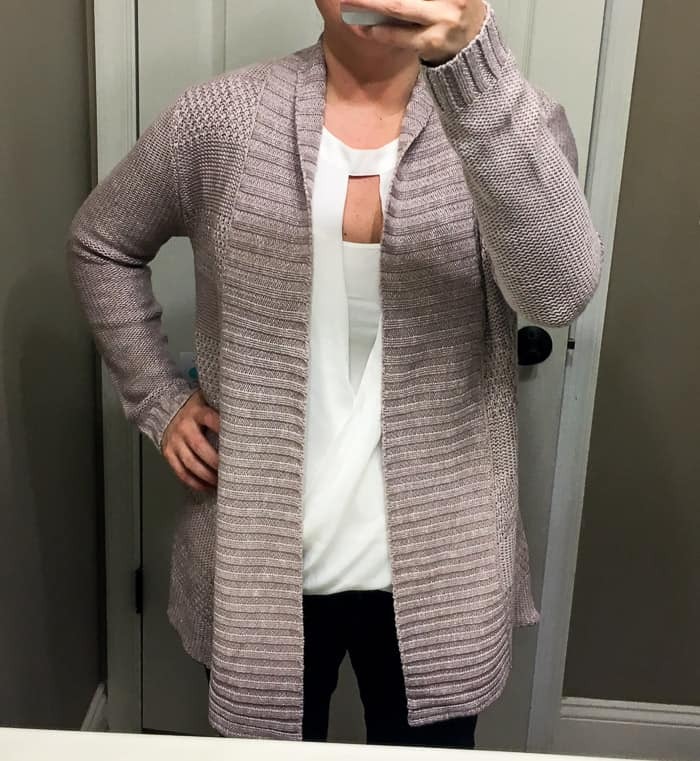 This is my second Stitch Fix February 2018 Review! See everything that I got and find out how to try it for yourself – risk free! 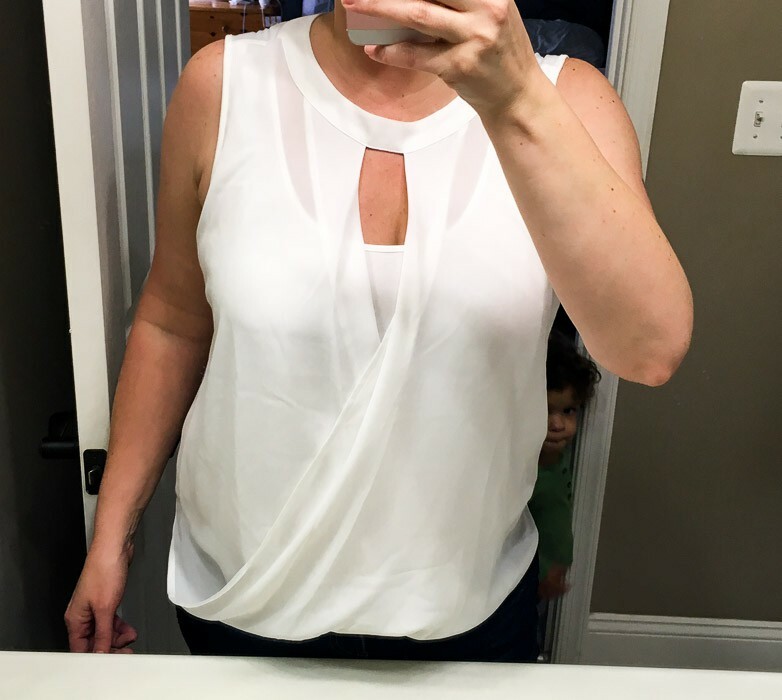 After my last few Stitch Fix boxes, I am back in a full on Stitch Fix clothing addiction! I was pretty happy with my first Stitch Fitch box this month, so I decided to order again. After several years of taking a back seat to my kids needs, I am finally able to give my closet a much needed makeover! For those who aren’t quite sure what this whole Stitch Fix thing is about, let me briefly explain. Stitch Fix is a clothing subscription box. You fill out a style survey, pay a $20 styling fee (you can try it out using this link – unfortunately Stitch Fix is no longer offering the waived styling fee -then make any specific requests or other notes your stylist might need to ensure you get items that you will love. Once your box arrives, try everything on. Keep what you love and return or exchange what you don’t. Your $20 styling fee will be credited towards anything that you purchase. If you decide to purchase everything, you will get 25% off the total. But, if you choose not to make a purchase you do forfeit the styling fee (this has never happened, I always want at least one item!). Shipping is free both ways. 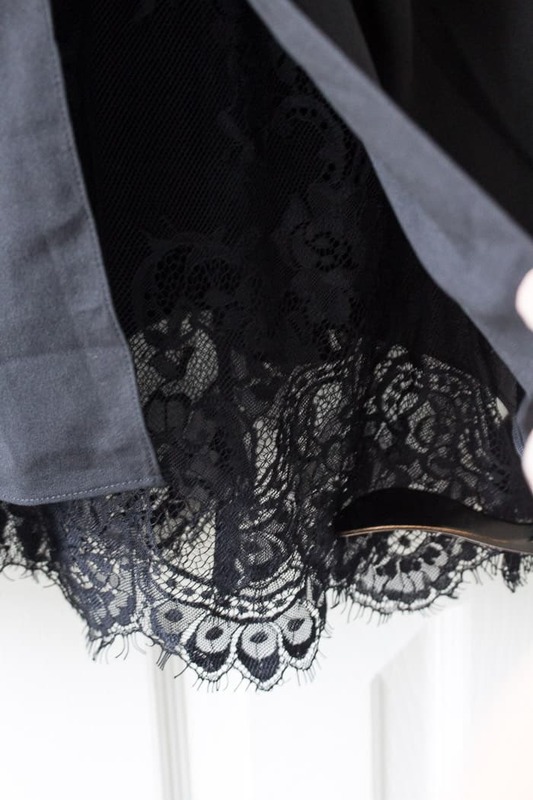 For this fix I made my usual requests – layering pieces and lace details. 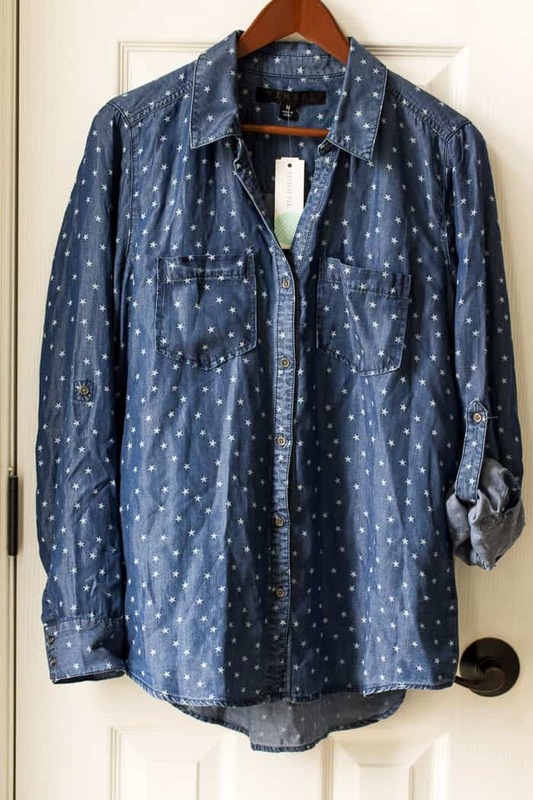 I liked the chambray shirt in my last fix (minus the fit), so I requested a button up version instead. I believe I also noted that dresses would be good too. My stylist this time was Roseann. After taking a sneak peek at what I was getting, I was super excited to get my box! Roaseann mentioned in her note to me that she wasn’t able to find a solid chambray shirt, but thought I might like this one. I have been loving button ups for the first time in my life. I love it! It has that incredibly soft, broken in feel to it. The stars are a cute touch and it can be worn buttoned up or opened. I can already see wearing this for fireworks on the Fourth of July. 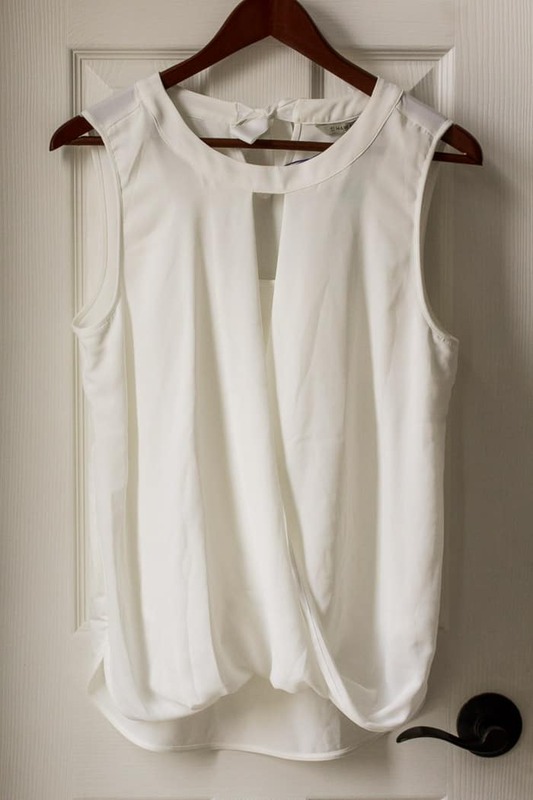 You can roll the sleeves up and button them secure which makes this top very versatile almost all year long! 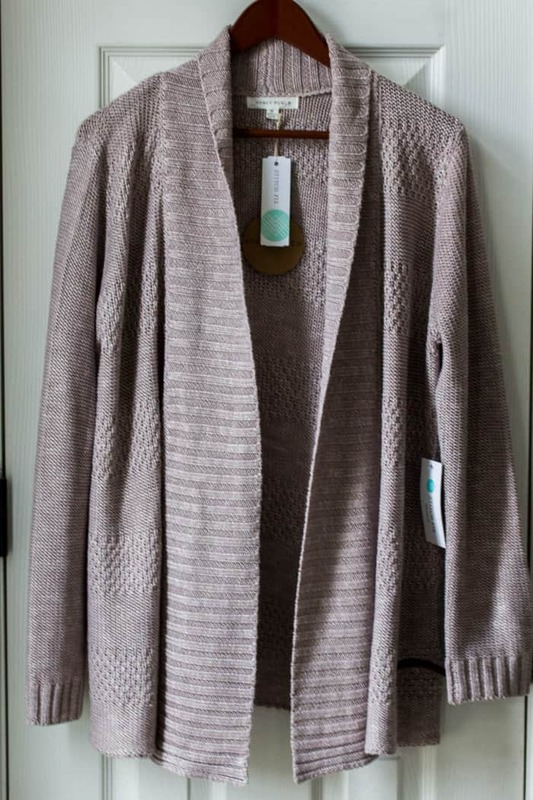 I’ve kept a few cardigans from Stitch Fix over the years and wear them all the time. I don’t usually like thicker sweater cardigans, but this one is so pretty! I love the blush color and that it can be easily wrapped around. It just has that super cozy feeling to it. This cardigan doesn’t have pockets (why!?!?) and is a bit thicker and heavier than I usually like. I really went back and forth on this one and ultimately decided that I had to have it. I imagine this will be my go-to for curling up on the couch with a hot chai latte on cold winter days. This top is a tank version of the t-shirt I got in this fix. I wear that shirt all the time, so I wasn’t too bothered by the fact that this top is super similar to something I already have. The fit was good, but the entire inner layer is lace and a little itchy and uncomfortable. 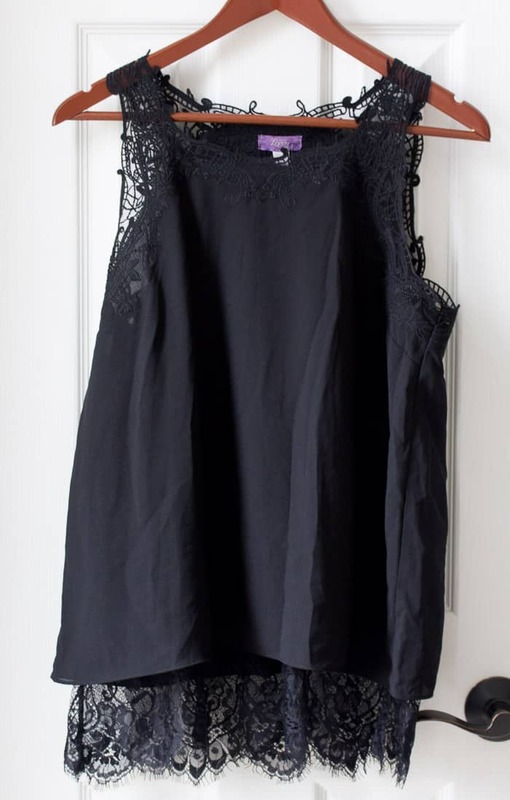 The back flaps open up as well to reveal the see-through lace. I just couldn’t see myself being very happy wearing this. I almost always send anything white back – I have a 2-year-old. It usually isn’t a great combination. Considering this is a tank top and would be okay under a cardigan, I thought maybe it would be good. The fit was good. I didn’t care for the tight fit on the back of the shirt, but figured it wouldn’t show really anyway. I loved the way the front of this shirt looked, but after rummaging through my closet, I didn’t have any jackets or cardigans that paired well it it. I can totally see why Roseann would chose this top for me. 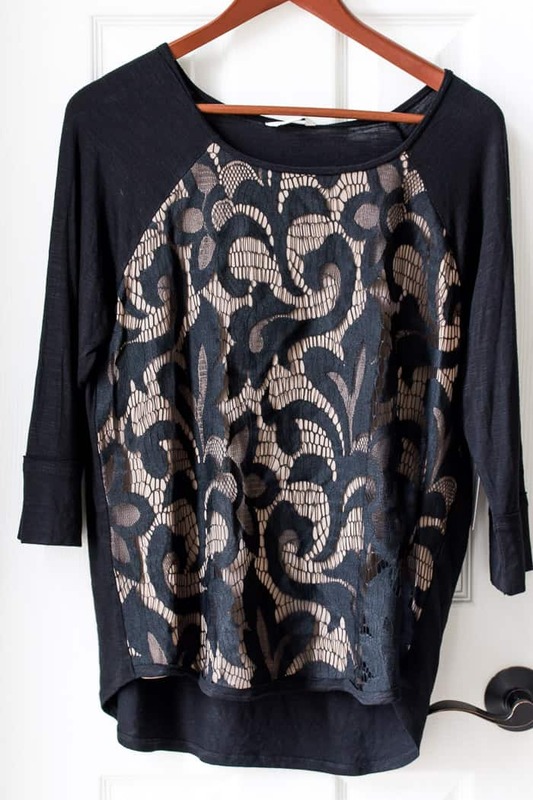 My history of often purchasing neutral colors, plus my love of lace would make this an obvious choice. I didn’t love the fabric and felt it was more the type of shirt I would wear if I worked in an office instead of at home. I couldn’t see myself wearing this for any other reason. The lace layer is also detached from the beige layer at the bottom. I immediately thought I’d probably have this snagged and ripped on something the first time I wore it. The total for this fix before any discount was $306.00. I do get the $20 styling fee credited towards my purchase, and if I would have purchased the entire fix, I would have received an addition 25% discount of $76.50 which would have brought the total for all 5 items to $209.50. Overall, I feel this was a great fix. The items were all well thought out and definitely reflected my requests. I think I’ll be changing up my notes for my next fix to include more color and definitely a dress – especially with Spring right around the corner! 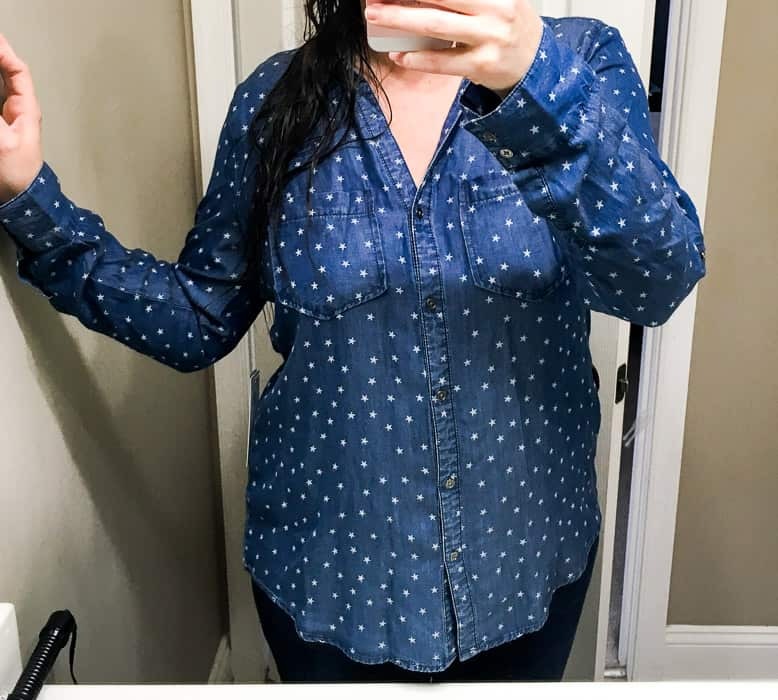 If you want to try Stitch Fix, just click HERE! I’m sure you will love it!